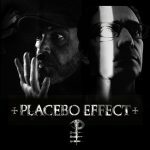 Background/Info: Eleven years after their last album (cf. “Dependence”) German synth-pop formation Boytronic are finally awakening from a long hibernation. Core members Hayo Lewerentz and Ingo Hauss joined hands together with singer James Knights. He was the singer of the British electro-pop formation Scarlet Soho. And so, more than 30 years after their set up this famous formation is back on track with new material. Content: Boytronic hasn’t changed that much in style. “Jewel” is a continuation of the styled and catchy synth-pop music they’ve always produced. The music has this magic 80s flavor, which might remind you of legendary bands such as Depeche Mode and Erasure. A few songs featured on “Jewel” sound maybe a little harder than what we’re used to hearing. 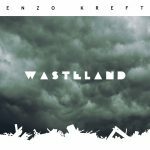 They don’t hesitate to use heavy kicks and even EBM-inspired bass lines, but in the end it remains totally synth-pop like. + + + : The major change is the new line-up featuring James Knights on vocals. He really has found an interesting new challenge becoming the singer of Boytronic and the least I can say is that it’s a great match. Sound-wise Boytronic remains faithful to their 80s influences, but they first of all have accomplished a cool production featuring all ingredients a great pop album needs to have. The songs are danceable, carried by great melody lines and elevating choruses plus a real affection for cool sound treatments. Some songs are just danceable, others are into melancholia. I also want to mention the ultra danceable and somewhat nu-disco inspired “Disco City”. – – – : The cover version of U2 (cf. “New Year’s Day”) is not that bad, but it remains a special song, a kind of iconic track, which sounds a bit like blasphemy to cover! Boytronic doesn’t innovate that much, but simply moves on there where they stopped in 2006. Let’s hope we don’t have to wait for another decade to get new work from Boytronic. 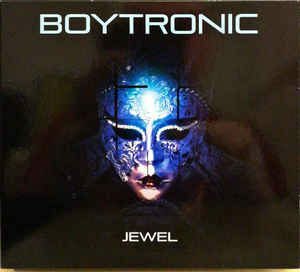 Conclusion: For all of those who forgot what Boytronic stands for, “Jewel” is a great wake-up call and an appropriate title to define this new opus! This is how good synth-pop music has to sound. Best songs: “Disco City”, “Big Hands For The Dreamers”, “Time After Midnight”, “Mad Love”, “Share”.